Corporate Social Responsibility ‹ CSR : TOHO AIR SERVICE Co., Ltd. 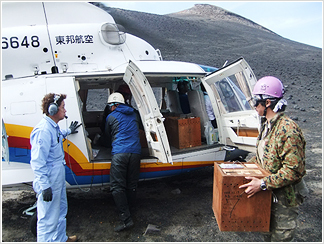 Through our disaster prevention information system from the sky, we provide a flight support for aerial broadcasting in disaster area as well as operating a rescue helicopter for emergecy medical assistance，so as to contribute to maintain safety and security for the society. We have been working on restoring forrests and mountains,by applying the aerial spraying system(spreading seeds and fertlizers via helicopter) for tree-planting in isolated locations such as mountainous terrain and remote islands (area devastated by debris flow,volcanic eruption, poisonous gas). 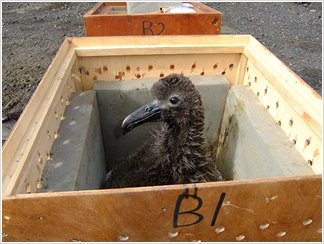 Toho Air has been supporting Yamashina Institute for Ornithology, with its project of relocating the endangered species albatross to a new breeding site from 2008.